To discuss classic cars in detail it is necessary to first understand what a classic car is. So what do we refer to as a classic car? 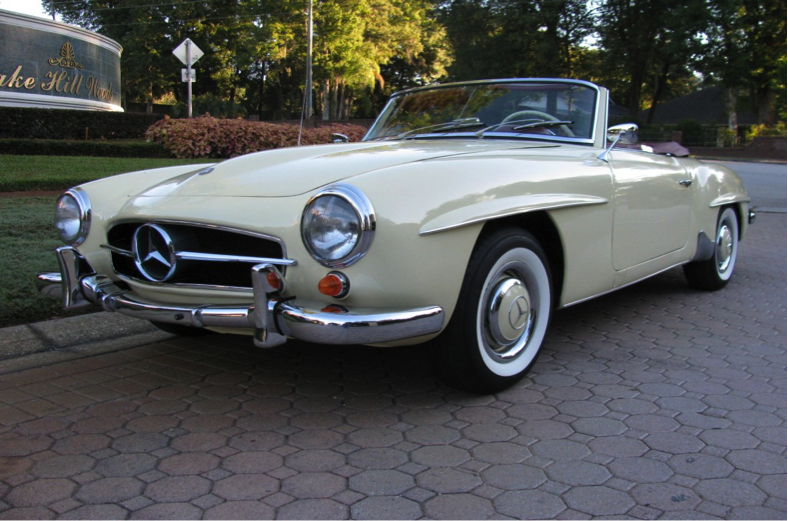 It is widely accepted that a car that is above 25 years can be referred to as a classic. UK insurance companies use ‘20 yrs and over’ as the age for a car to be considered a classic. Tax authorities in the UK government use 30 yrs as the cutline while the US authorities take the threshold to be around 15 years, though the car should be unmodified and pretty much in the form that it was manufactured. An antique car is mostly accepted as a car that is above 45 years old. However in many states in the US there is a law defining what can be referred to as a classic. The fact that most states have a special type of number plates for antiques makes it necessary for these rules to be made official. Generally, however, the age limit is accepted and also the condition that the vehicle must have been kept true to the original manufacturers specifications. This class overlaps with the antique class though for classic cars the age limit is not lower than 20 years and not above 40 years old. Many however add that for a vehicle to qualify as a classic it should not have been manufactured before the year 1925. For this reason all antique cars can be classified as classics though not all classics are antiques. 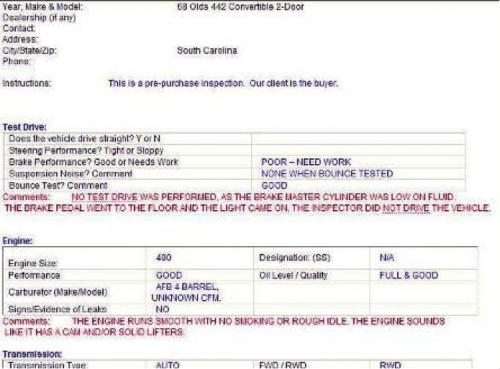 In addition to this the vehicle must have been repaired and maintained such that it does not change the vehicle’s original design and specifications. Vintage cars also overlap with antiques. For a car to qualify as a vintage it is accepted by most that the vehicle should have been manufactured between 1919 and 1930 (some schools of thought however give the upper limit as 1925). Unlike the other classes vintage cars do not necessarily have to have been kept to manufacturer’s specifications and they could have modifications. Some vintage cars can be classified as antique but not all and vice versa. Collecting classic cars is a hobby for many car enthusiasts who have the time and money to do so. While it can be a very pleasurable hobby which is as exciting as it is fun, without proper information, judgement and most importantly passion, the hobby can be both frustrating and a financial disaster. While it can be a profitable venture, a collector should not look at collecting as a business. Though most of the collectibles will appreciate in time it is ultimately important for the collector, whether a veteran or a newbie, to not buy thinking in along such lines. Buying of classics is not anything like playing around with real estate assets. Choosing the cheapest option while buying a classic in the hope of reaping a profit will definitely not go well. 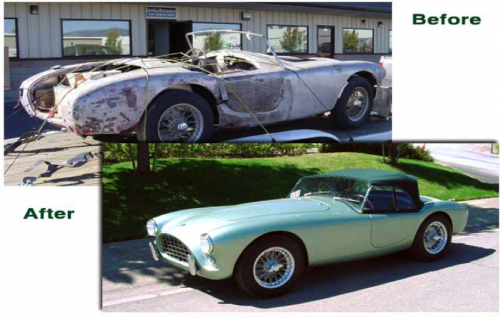 When purchasing a classic vehicle it should be a decision from the heart. Buy a vehicle because you truly like it and have a genuine desire to own the vehicle. Being a collector is not a business and therefore should be based on genuine passion and love for the activity. The importance of research before any purchase can’t be over emphasised. Know everything about the car before you set pen to paper and sign a check. Ensure you know how many vehicles of the same model were ever produced. Know the original factory options of the model and its original colours. Research on various auctions, price guides, newsletters of collector’s clubs and the vehicle’s history. Use the Vehicles VIN to help you learn how the car was equipped, its original colours and the factory specifications when the vehicle first left the manufacturer’s garages. Research is necessary since there are many factors that affect the value of a classic and therefore rarity is not a guarantee that the value of a classic is high. Most starter collectors make the mistake of buying a vehicle just because it is rare not knowing that other factors such as interior and exterior colour, mileage, specifications and many other factors affect the price and general attractiveness of a car. Make a point of talking to the car owner and ask questions. Every car has a story of its lifeline since its manufacture up to the time you contemplate buying it. Know how many hands the vehicle has changed and what renovations or restorations, if any, have been done to the vehicle under each respective owner. This information comes in handy when judging the condition and the care the car has been accorded and therefore helps to make a good estimate of its market value. If there is major need to renovate, run the other direction! It is common for people to dream of getting a classic that is dilapidated, rebuild it perfectly and make a killing when they resell. Don’t become deluded with the romantic notion of a ground up rebuild. The only people who can successfully renovate a car and make profit are mechanics with the right resources, contacts and expertise to do so. For a person without such expertise, buying such a vehicle and paying for the required renovations will definitely end up being more expensive and very rarely can they make a profit. Unless one has the time and money or the expertise to carry out the renovation, the better option is to buy a vehicle that does not require much additional labour. It is necessary to inspect a vehicle properly before the purchase. Do not take the seller’s word since they will a vested interest in making the car sound as sound appealing as possible. It is therefore necessary to inspect the vehicle personally or with a mechanic who is familiar with the make and model before purchase. In the case that the location of the buyer is not close to that of the vehicle, it is prudent to contract an inspection service provider to do the assessment for you. Though there will be added costs such a service provider will ensure you get an objective report and even provide detailed pictures of the vehicles paint, exterior, engine and evidence of rust. Whether it is an online or an in personal transaction, make sure you do a background check on the seller. Research whether the buyer has a past record and whether it is positive or otherwise. Look for feedback from people who have bought from him/her in the past and ask around other car enthusiasts to know if the seller has a standing reputation. This kind of research is especially useful for new collectors as it is easy to be swindled by a veteran seller as they know more about the business than you. A legitimate seller will have all the relevant documentation. Such will include original sales paperwork documenting the ownership of the seller and all the paperwork from previous sales. Ensure also that you have all the receipts for work done on the car by previous owners. Such documentation comes in handy when valuing the car and moreover will ensure ease of resale since the next buyer will most likely require the same from you. 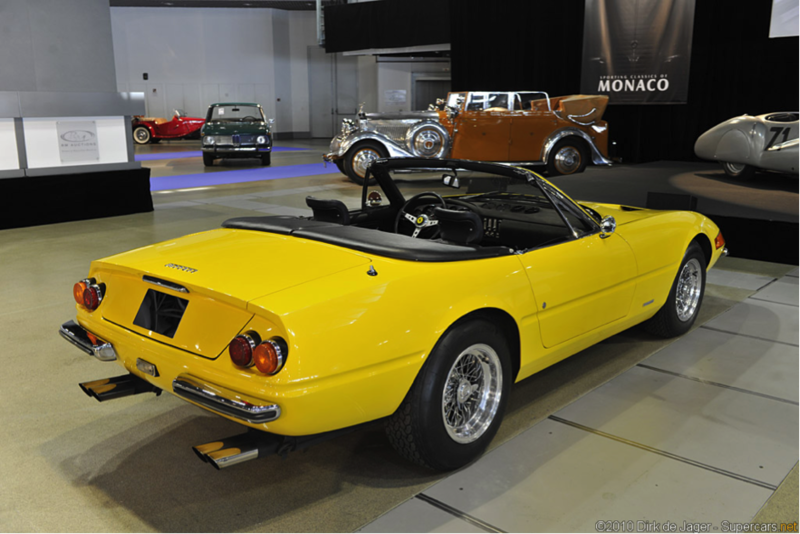 Whereas classic car auctions are really good prospective places to lay your hands on a collectible, they may just not be the best places to acquire one especially for new collectors. Due to the commissions, more often than not buyers find themselves buying a car at too high prices. To safely buy at an auction, it is paramount that you go to the auction with a clear decision of the car that you are eyeing. Once you have specified the car you want, go ahead and gather information on the car much in the same manner as if you were actually buying (most of this information will be found on the internet and in books such as the ‘Corvette black book.’) With information such as the production number, manufacturer specifications and information on the car’s current condition it is possible to value the car (ask for expert advice if necessary). Once you have this and all other relevant information and have gone ahead to estimate the affordable range of value, ensure to stick to these guidelines no matter how luring the bidding gets. Keep in mind that there will always be another option or auction other time. Last but definitely not least, try to buy a car that is similar to how it left the factory. While admittedly it is not easy to find a car that is totally unchanged, your goal when scanning the market for a collectible classic should ultimately be to find a vehicle as close as possible to the original and one with the lowest mileage. Of the current collector cars in the market, many are what are referred to as ‘restomods’. These are basically cars that look old on the exterior while what they have on the inside is new. These have significantly less market value and their appreciation in terms of value is definitely not favourable. It would be sugar coating to say that everybody with a passion for cars can be a collector. In real sense this hobby has to go with money in mind and anyone willing to be a collector has to have enough to spare and the patience to watch time take its course. Also to assume that the car collecting business is smooth all the way is a misconception. Rick Carey, a veteran journalist in the classic car collecting field told the audience at The Arizona Auction Week Preview, the first car for a new collector does not really matter. He said, “Just buy the first car you see and like. You will off course be making a mistake.” He added however that the experience from this first venture will teach you so much that a year later you come to the same auction sell the car and then make an educated purchase. Rodger Rodas, a financial advisor and collector further cautions new collectors not to expect too much from their collectible classics. He says that expecting to drive a collectible daily and still make a profit when you finally sell is just unrealistic. Instead he advises that you should buy something to use for the weekends while taking it to a car show or a cruise.